Let’s plant a thought. We live in a time when it seems as if almost anything could happen. Technology, ecosystems, politics, economies, our everyday habits; change is ubiquitous. Some change is positive, some less so. Mutability is something we are learning to live and work with. Life is flux, as Heraclitus famously put it. It is at times of shift and turbulence that the boldest of thinking and action is needed. If your desire is to help shape a stronger and more resilient future as the jet stream of history propels us all forward, then the challenge is to think across the horizon and to connect causes, effects and powerful solutions. That’s where the Northern Forest has emerged from, as an urgent idea of our time, addressing the challenges of today and tomorrow, deploying a natural solution that’s much, much older than we are but that has the most contemporary relevance. 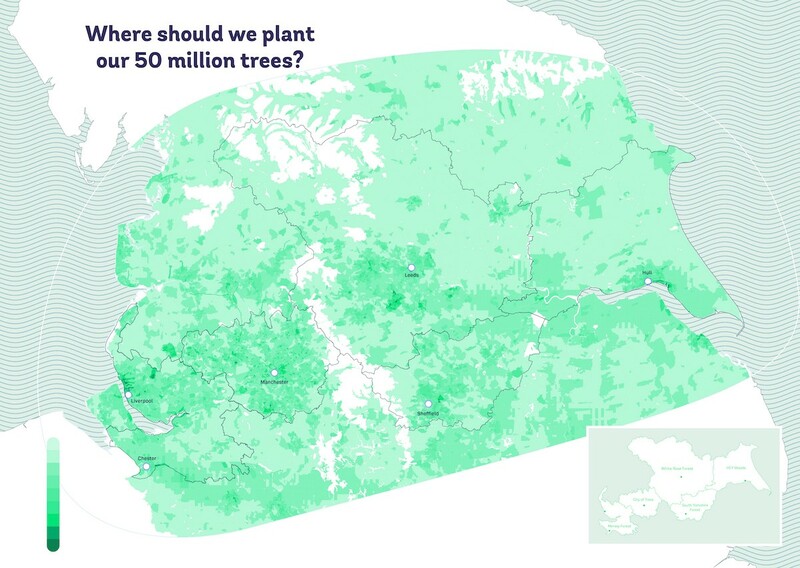 The plan is to plant 50 million trees, across a generation and across the North of England. The plan is to plant 50 million trees, across a generation and across the North of England. We know where they can go and how it can be achieved. 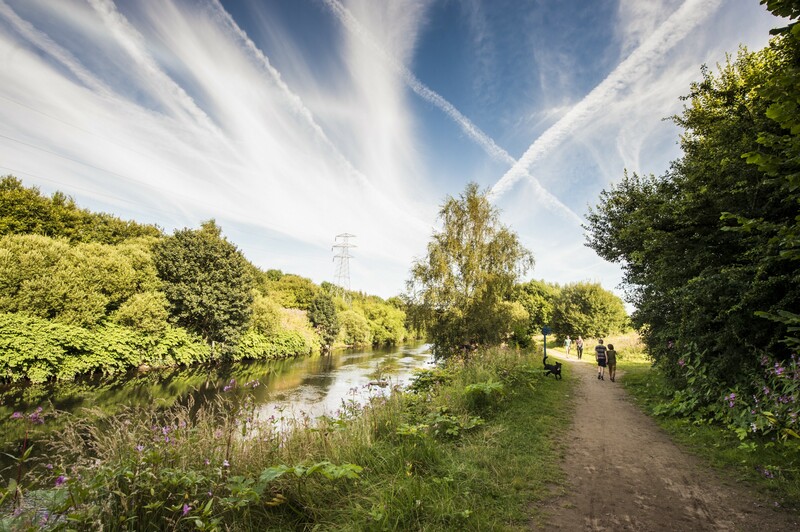 If trees are planted in the right place, we know that we can: reduce the risk of flooding for up to 190,000 people; create thousands of new jobs; store thousands of tonnes of carbon; and of course, make the citizens of our great Northern cities and regions happier, and healthier. The team working on this have a fierce logic to back them up. The Northern Forest partners — the Woodland Trust and Community Forests — have drawn up a compelling prospectus for their plans (with my team’s help at Creative Concern). We start with a clear case for a major economic uplift from increased property values and regional attractiveness. We then move through reduced carbon emissions, greater ecological resilience — including from flooding — the need for more timber and timber planting, benefits for health and air quality, and the biodiversity boost to be expected. Inspired by the work of our community forests across England and the Woodland Trust’s brilliant Tree Charter, this partnership is driven by the desire to make sure that our children, and their children, enjoy a better and more equitable natural environment than we inherited from our forebears. We want to see habitats thrive, planting rates soar, a woodland culture flourish and our ancient woodlands better protected. Ours is a demand, a promise and a proposition; for a rich and silvan future. The impact will be on the streets of our cities, around new developments and old, across key areas of our uplands, and along our riversides. This will happen in our gardens and across our neighbourhoods. Priority areas for new planting — the darker the green the higher the need. The Northern Forest is an idea that fits this moment in time perfectly. As a recent parliamentary enquiry rightly pointed out, planting rates have virtually stalled in this country, even as we struggle to try and raise our levels of woodland cover to a fraction of those enjoyed elsewhere. Across England, only 10% of our land area is covered by woodland. In Scotland that stands at 18%, and in France, Germany and Spain it is 31%, 33% and 37% respectively. England’s woodland cover is only just over a quarter of that enjoyed, on average, across the rest of Europe. Our planting level for new trees in the year 2015–16 stood at just 700 hectares; some argue that if you look at the amount of trees being removed in cities like Sheffield for example, we are in truth seeing a net decline in our woodland cover at the moment, while policy and common sense alike says we should be headed in the opposite direction. This means the benefits that accrue from trees are simply slipping away from us. When the hard rains fall, they land on even harder surfaces and run off swiftly to create flood risks downstream. When the heat rises through climate change, we don’t have the shade or the evaporative power of leaves to keep us cool. Our dirty air is unfiltered. Our timber mills look forward to an uncertain supply. Local communities don’t have the access to green space that can be so transformative. The song bird has nowhere to land. The government’s own figures put our existing woodland resource as being worth £1.8 billion to us in terms of social, environmental and economic benefits. The estimate is that for every 250,000 of new hectares planted, £500 million of social benefits are generated each and every year. And then there are the benefits you can’t put a price on. A woodland walk with someone you love. A child climbing up their first tree. A riot of autumn colour that reminds you, yet again, how much you like the season after summer. 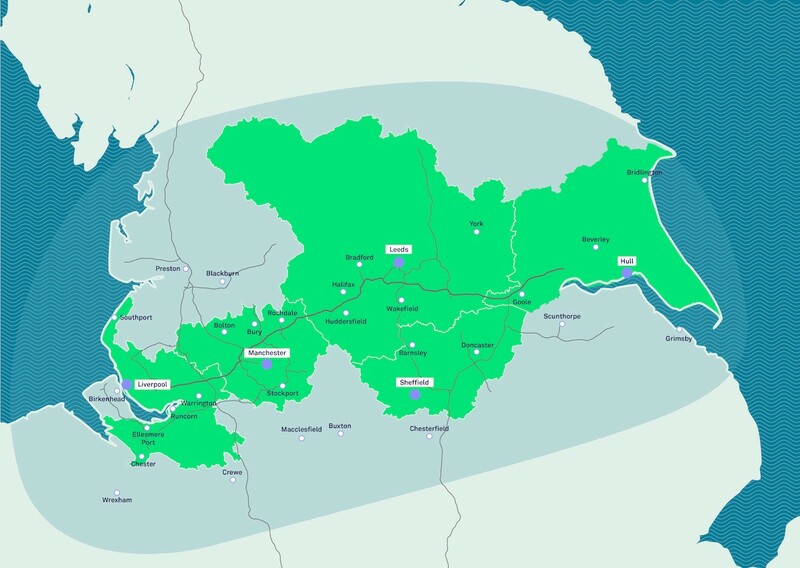 Our Northern Forest is a plan to plant 50 million trees in and around our great cities of Liverpool, Manchester, Leeds, Sheffield and Hull. It is an area of 13 million people and has woodland cover even lower than the paltry England average, at just 7.6%. There are 650,000 new homes planned, £75 billion of infrastructure in the pipeline and there are new powers being exercised due to changes in planning powers across the region. We have a plan to transform this landscape to make it more resilient, even more beautiful and more prosperous too. There is an evidence base, a strong partnership and a vision we can follow. For people, nature and for the economy, we will plant 50 million trees and hope for a future we can all be proud of. CEO of Creative Concern, a Manchester communications agency specialising in sustainability, regeneration and social issues.